I usually take over a spot in the house to lay out the fabric. My current favorite is the floor in the bedroom. 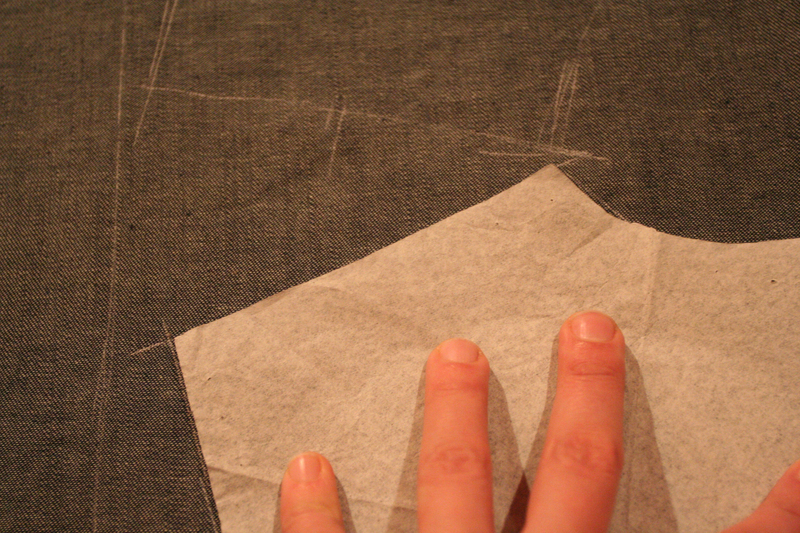 I place the pattern down and trace it onto the fabric with a chalk spreader tool. 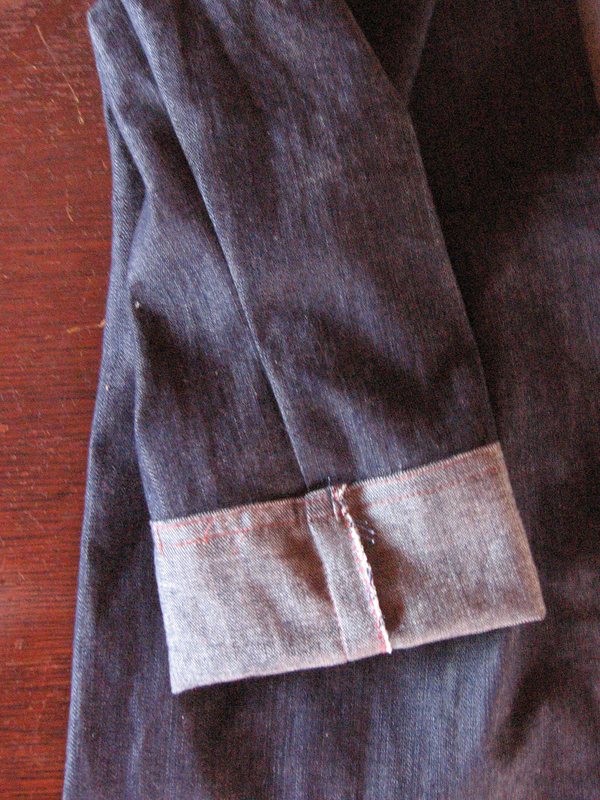 Then cut the fabric…baste, and sew. 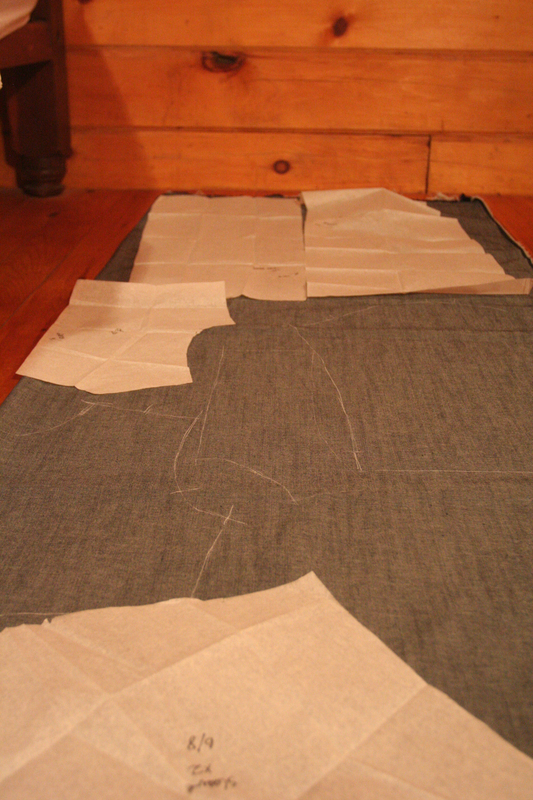 Below are the sleeves, basted and ready to pin into the bodice. 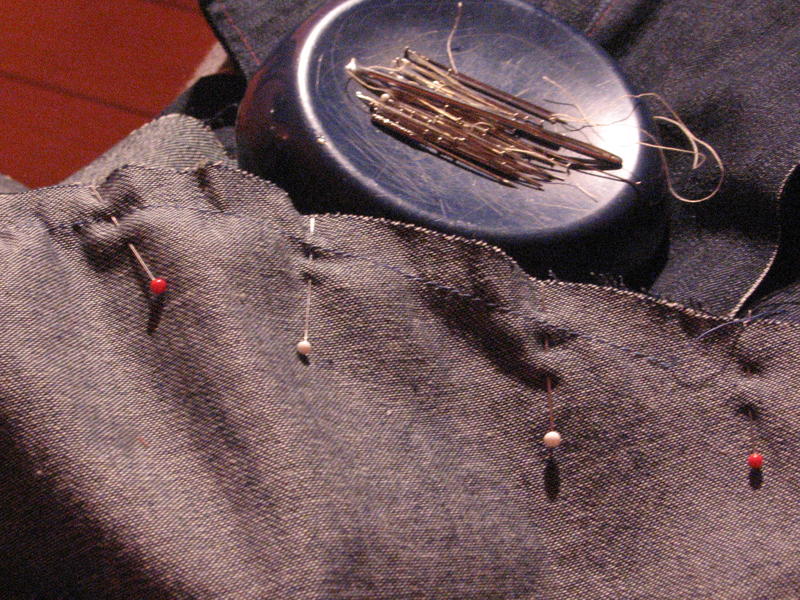 I really enjoy the process of pinning the sleeves. 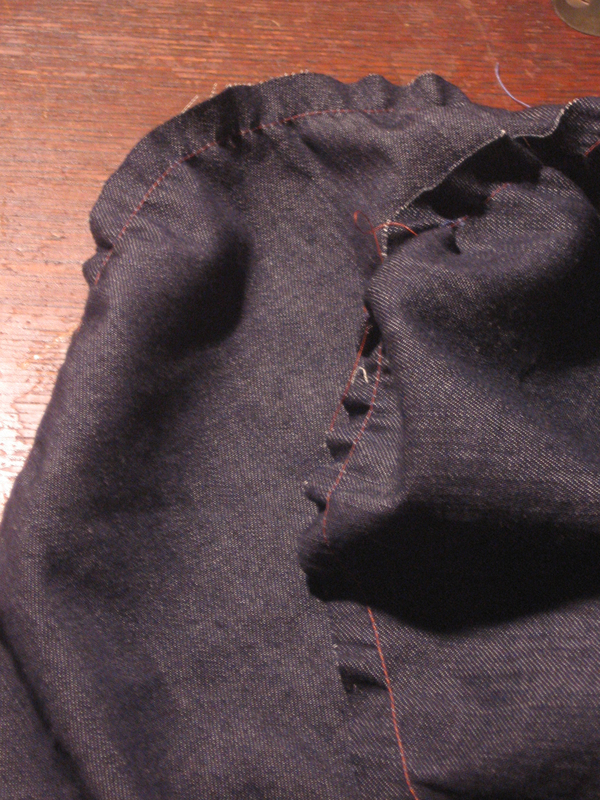 I have found that fabric is much more malleable than I would think, and pinning the sleeves allows for all kinds of adjustments and refinements. I started sewing the bodice with blue thread, but it was the wrong color, and so I switched to orange. The contrast was pretty with the dark blue. 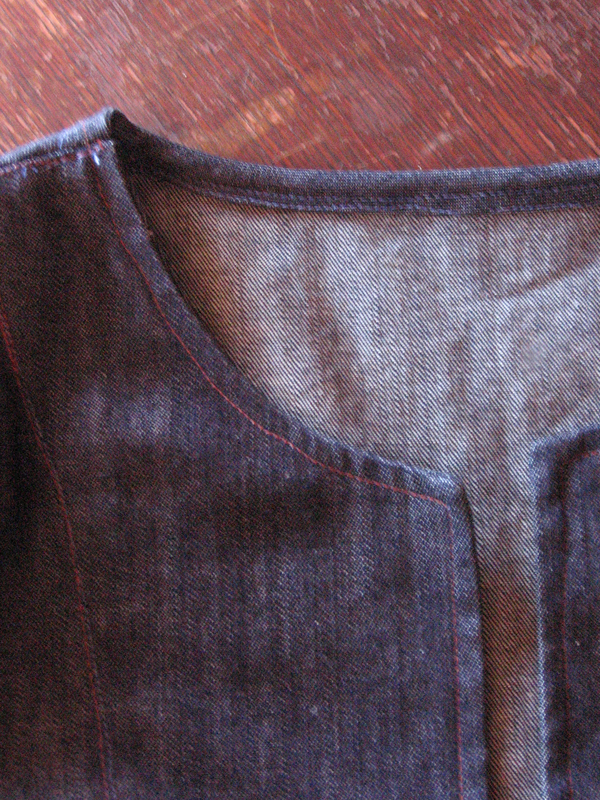 I hemmed the bottom of the dress and sleeves by turning the material inside out. I actually have enough fabric to make another dress with the reverse side out, and I might do that. I had a hard time deciding between the dark and light sides of the fabric.. 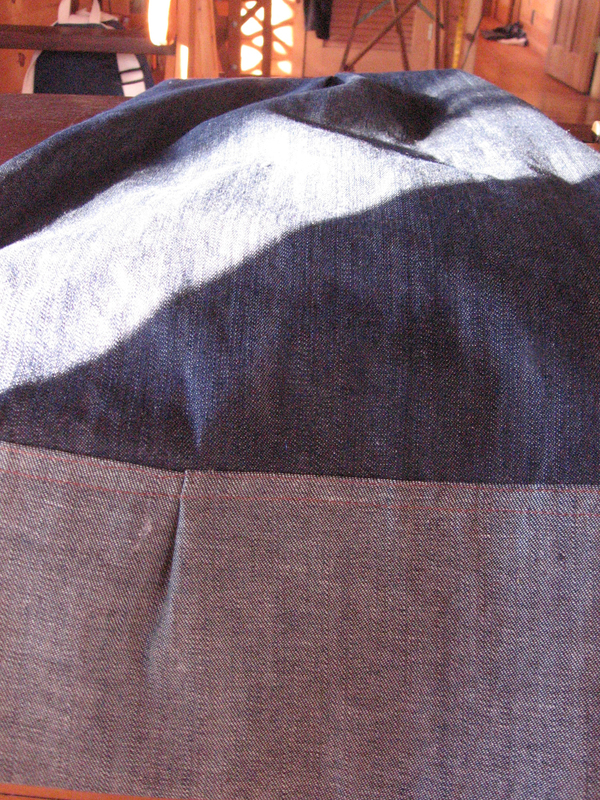 The hem at the bottom of the dress was a little funny, and so I added some tucks around to even out the seam. I guess that they add character..